We are pleased to announce the upcoming release of Peter Schweizer’s newest book, Throw Them All Out: How politicians and their friends get rich off insider stock tips, land deals, and cronyism that would send the rest of us to jail. You can read more about it and see more of what Peter has to say at throwthemalloutbook.com. Heard you on KABC Sunday evening. I was a progressive and now am a free agent. Can I just say from the start that you have quantified what all of the Tea Party and Occupy know. And that we have not been able to change this corrupt system is a pity for so many reasons, but mainly cause we elect our leaders but can’t select who the machine props up. There were times that I thought I was listening to someone who really practiced what he preached meaning non-partisan punishment of these leaders. But then you guys started sounding like your old selves. Talking about GE/Obama etc… too bad. And on there with yellow journalist Breitbart. Thank you for your information but not for your agenda. Someone on the left will go the extra mile and actually be about unification. You seem not to be. Such a disappointment alot of these people who rat on others then do nothing about it. Seems they don’t practice what they preach are in it just for the $$$ like the Elected Officials. Too bad they don’t go togeather in a group to get the bums out, Iam sure they would get a following the elected would be in envy of. MaxaM, If you find anyone! that sticks to their guns tell me about them. I am sick of the mouths with no actions. Results are what I want not empty promises! Use e-mail address for now. As the towers were coming down in 9/11, I was faxing Wall Street companies begging them not to sell the airline companies short. I would love to know who sold America short on 9/11 and two weeks prior. It makes perfect sense now…why these people fight tooth and nail for a 100k job and spend millions to get re-elected by any means possible. Then fight like hell to get a seat on a commity in a caucus. we all should be ashamed for electing these people and demand they live by the laws the pass on us. Your answer to the problem is Daughtersandsonsofliberty.com. Web site will be up in 4 days. We have a petition sent e-mail address to billyjones0001@yahoo.com,we will sent a copy for you to look over. We are waiting for the endorsement of Occupy Wall St.
Then the official petition will begin. Love listening to your books. What’s the chance of finding an audio version of “Throw Them All Out”? 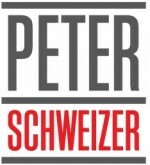 Peter Schweizer © 2015. All Rights Reserved.